An extra 10% discount on top of our already discounted prices on SheerLuxe window shadings. As well, you're able to upgrade to a cordless control for free. 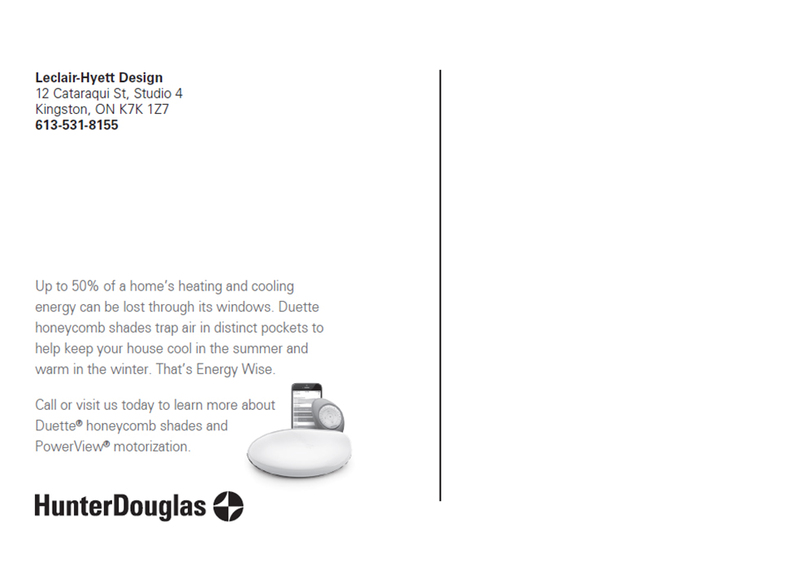 A free "cordless" or "cordless lift and lock" on any Moodscape Cellular shade order. 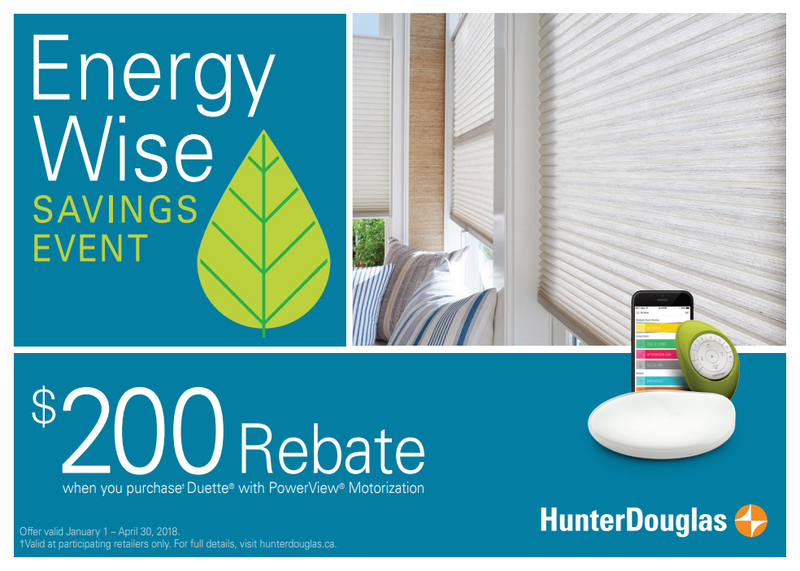 A $200.00 rebate on select Hunter Douglas motorized shades - contact us for details!